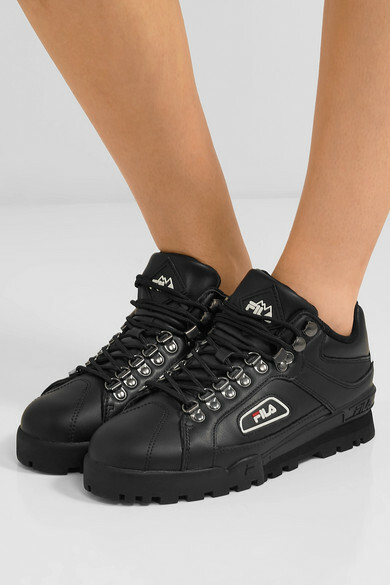 Hiking shoes are trending this season, and Fila's 'Trailblazer' sneakers are modeled after traditional styles. 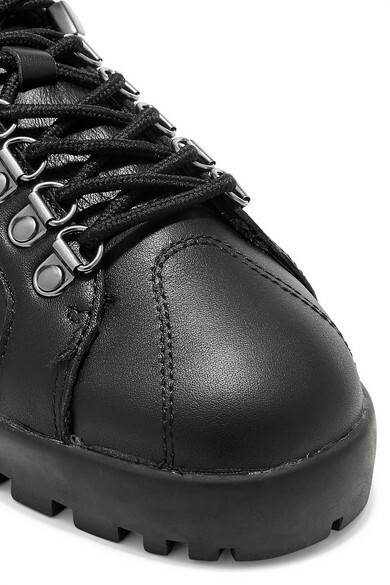 Made from black leather with a metal eyelet lace-up front, this pair has a comfortable padded collar and rests on a chunky rubber sole. 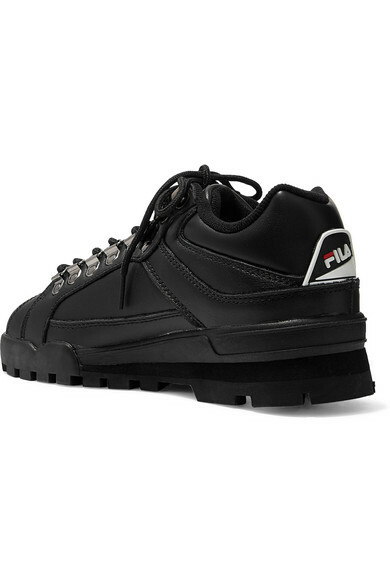 They're finished with the label's signature logo on the tongue, side and heel. 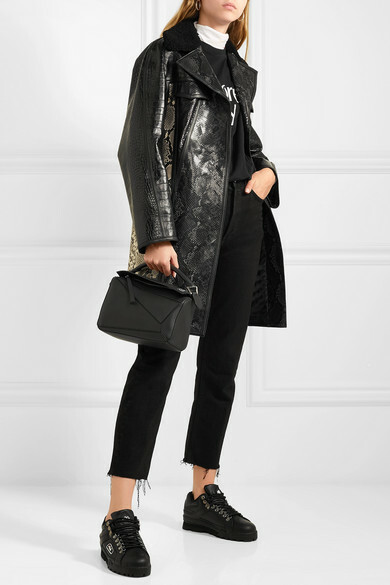 Shown here with: CALVIN KLEIN 205W39NYC Top, Christopher Kane T-shirt, Off-White Coat, RE/DONE Jeans, Loewe Shoulder bag, Sophie Buhai Earrings.